FireXpert is a locally owned Idaho business dedicated to providing the best service in fire protection at a great value. Stop worrying about what you need for safety or when it needs service. We will walk you through the process of a new installation project, provide the highest quality workmanship with a satisfaction guarantee and provide your required maintenance on schedule to keep you in compliance with your local fire inspection authorities and insurance auditors. Serving the Treasure Valley and Southwestern Idaho since 2000, FireXpert specializes in the service, sales and installation of portable fire extinguishers, restaurant kitchen suppression systems, clean agent systems for electronics and valuable materials, industrial and paint booth suppression systems, vehicle systems and more. 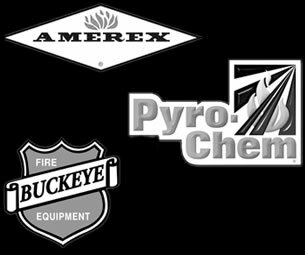 We service Ansul, Pyro Chem, Amerex, Badger, Buckeye, Kidde and Range Guard products. We will also take care of your Emergency and Exit Lighting inspections and repairs. 24 hour emergency service available. Give us a call today!